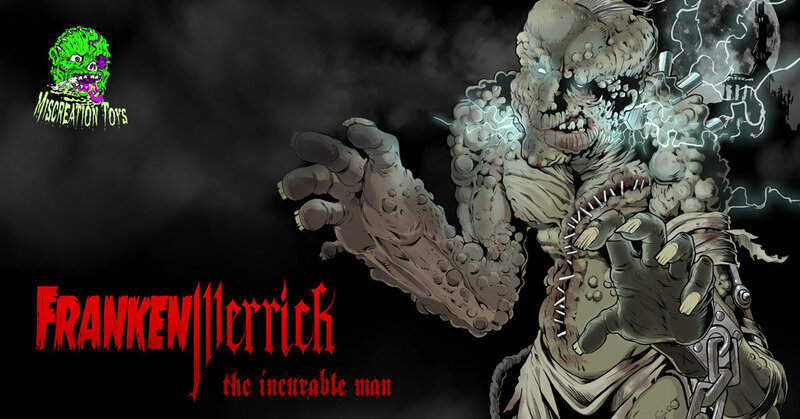 The mash-up between Frankenstein’s monster and the Elephant Man miscreated by Miscreation Toys known as “FrankenMerrick: The Incurable Man” is back for a bran new ‘Obsidian Black’ run. This is the first unpainted run of the creature. The composite creature stands 12″ tall with 7 points of articulation, includes loin cloth to cover his unmentionables and metal chain accessory on shackled wrist. This limited release is cast in black vinyl, made in Japan. A preorder limited to only 25 pieces until February 12th HERE. Each one will set you back $150. Grab em while they live!.. pardon, last! Follow Miscreation Toys on Facebook & Twitter.